Happy Holidays! It has been awhile since I posted….blah blah blah blah. If you are anything like me, you have attended and will attend party after party after party after…party. While these events are technically “fun”, you can add a bit more oomph to the affairs. 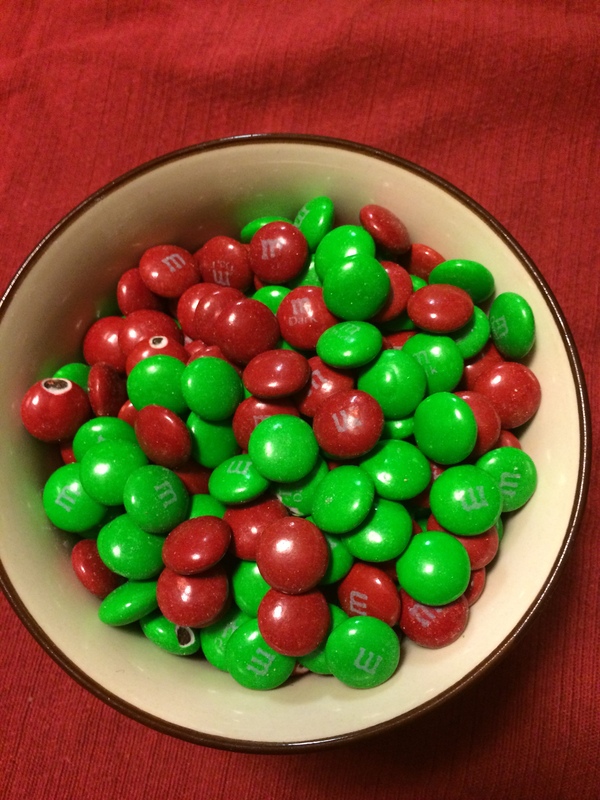 Just bring your vat of mulled wine and a selection of holiday themed candies for your own special time. This pairing was very slapped together so I won’t pretend it was a great plan. I just wanted to have some fun and have a post for the holidays. The mulled wine was naturally very delish so we will move on to the pairing. I didn’t take very many notes on the combinations that didn’t work so I apologize. Gum Drops: The cinnamon gum drops are delightful with the mulled wine. The spice of the cinnamon combines nicely with the wine. 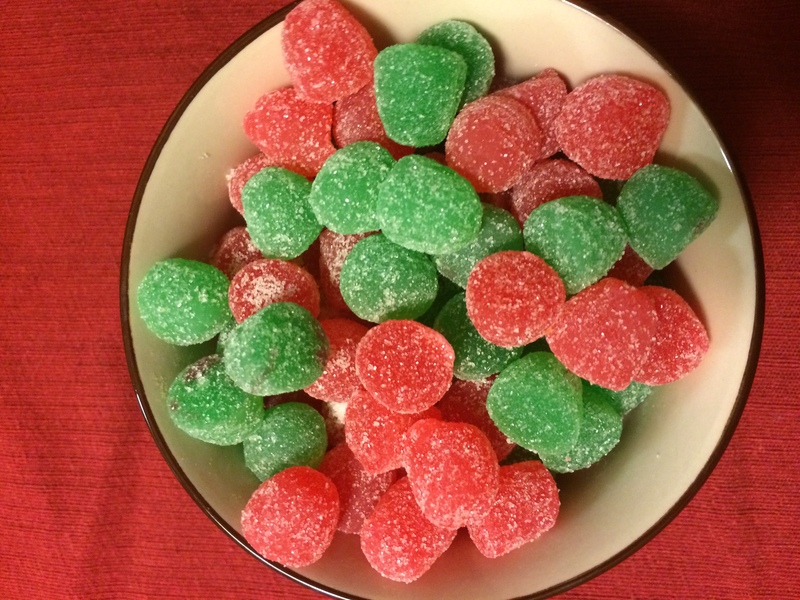 The mint gum drops….not so much. 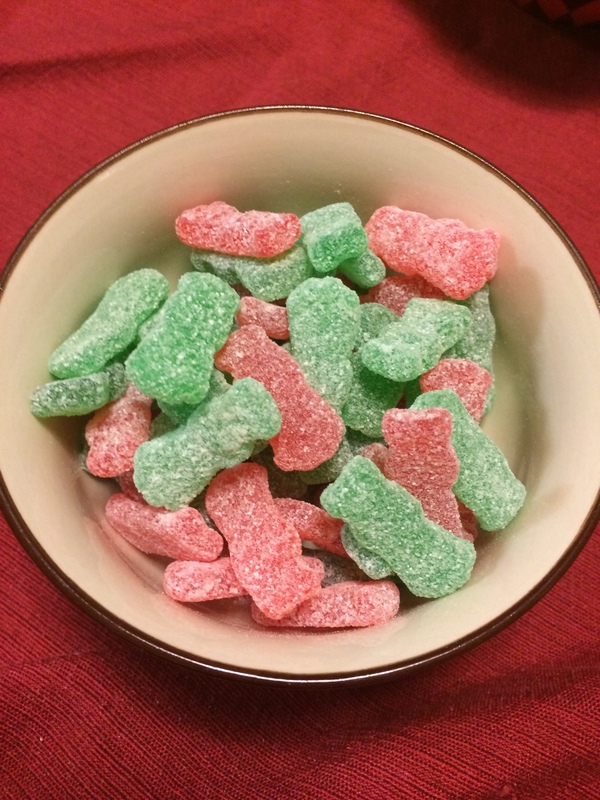 Sour Patch: Meh, nothing special. I would love to go toe-to-toe with sour patches again sometime. Chocolate: Not good because the wine is way too strong and the chocolate is too dull. 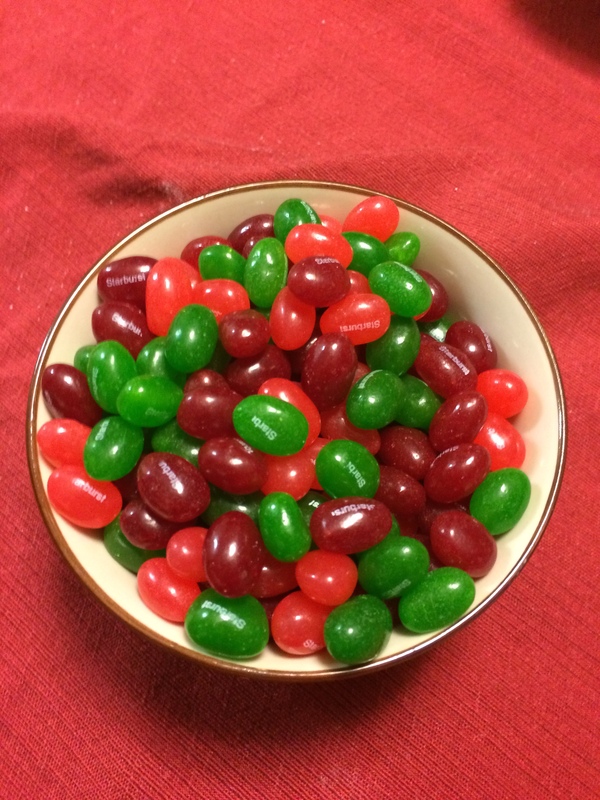 Jelly Beans: A big no-no, I actually find it revolting. However, a friend brought a wine from Texas that had mesquite flavors. It went so well with the Jelly Beans! I have now given you the tools to take any party to the next level! That is my gift to you. Posted in Mulled Wine and tagged Candy, Gum Drops, Jelly Beans, M&M, Mulled Wine, pairing, Sour Patch. Bookmark the permalink.